FASTBRACES® Technologies is approaching its quarter of a century anniversary; since the treatment of the first patients and with a new era in the dental world, that’s long been native turf for FASTBRACES®, a welcome turn is being taken away from long-term braces and toward faster and more affordable products. Whether it’s the enduring quality of the original FASTBRACES®Standard Metal™, or the stylish FASTBRACES® Ceramic Clear™ and now the amazing FASTBRACES®TURBO™, our company’s commitment to using top-notch technology to create faster and less painful braces means that our doctor clients can be sure that utilizing FASTBRACES® products will have their patients smiling within no time. As FASTBRACES® Technologies embarks on its long journey towards its first century of excellence, one would say that this truly American institution has always represented the democracy of good products and fast results. It is our hope that by introducing ourselves to those who’ve yet to learn of the technology of FASTBRACES®, inspiration will be found in our products rich history and dynamic future in the decades to come. Add today’s technology to the superb quality of the past, and you get a product that is both affordable and comfortable. The patented triangular brackets, designed to move the roots of the teeth towards their final position from the onset of treatment, is of uncompromising workmanship and at the forefront of a philosophy of craftsmanship over two decades old. Today, the original FASTBRACES® Standard Metal™ bracket is still a mainstay; however, there are other options, too. Authorized providing dentists offer affordable alternatives, such as: aesthetically pleasing FASTBRACES® Ceramic Clear™ brackets, and the new amazing product design by Viazi™, the FASTBRACES®TURBO™ for those discerning patients whose time is more important than money. As an icon of tradition and an inspiration for the future, FASTBRACES® is now globally known because of its affordable, fast and comfortable reputation. 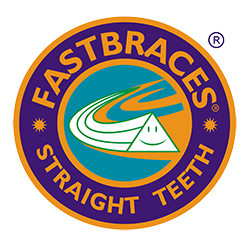 Unlike typical braces, which measure corrections in terms of years, FASTBRACES® Technologies typically help move teeth into position within weeks to months. The results must be seen to be truly appreciated. Submit the form below and receive $500 off your FASTBRACES® treatment!